AFTER a gap of eight years, union secretaries on Wednesday had a chance to meet prime minister of India together in one platform. 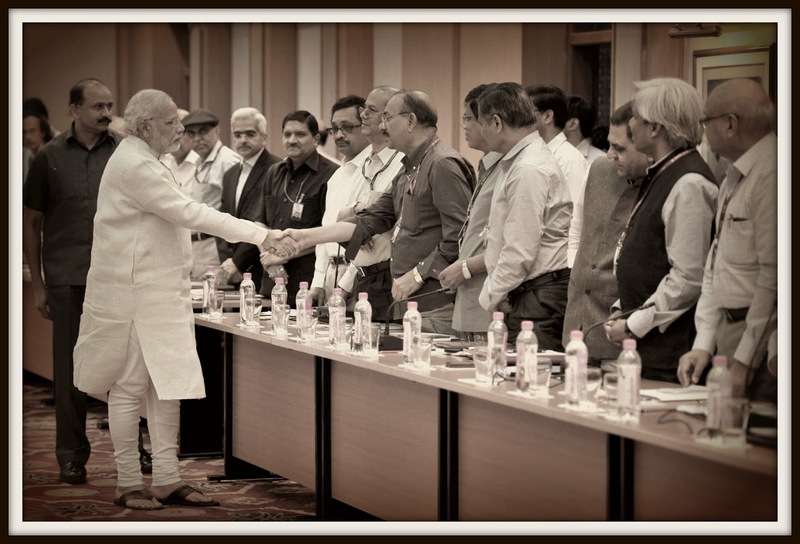 While addressing 77 secretaries, prime minister Narendra Modi said he was accessible to all officers and encouraged them to approach him with their inputs and ideas. Based on the statement issued by the PMO and feedback received from a few secretaries, BoI here lists 10 things Modi shared with India’s top bureaucrats. 1. PM said he has full faith in commitment and competence of the top bureaucrats so as to build a better future for the nation. 2. Senior bureaucrats need to simplify and streamline the administrative rules and procedures to make them people-friendly. 3. There is a need for team spirit, and secretaries need to be leaders of their teams. 4. The officers must take decisions while assuring them that he (PM himself) would stand by them. 5. Ideas should be converted into institutions because institutions last longer than individuals. 6. There is a need to identify and do away with archaic rules and procedures. 7. There is a need to clean-up the offices of secretaries and improve the workplace so that better work culture and efficient services to the citizens can be achieved. 8. There is a need to use technology for greater efficiency and effectiveness in administration. 9. Only through collective action, faster results can be achieved. 10. PM offered that he would always be ready to give an account of the work being done by him, and indirectly wanted similar standard of accountability from top babus. About 25 secretaries spoke during the meeting, and prime minister listened to their suggestions and comments for nearly two and a half hours. The best of them all is point number-10. It speaks volumes about the man. Narendra Modi is a leader in the true sense. He has inspired the nation. Any person, be he a bureaucrat or Politician, who takes decisions selflessly keeping in view the best interests of his Department/Institution/Country will have no fear of accountability and will willingly be open to scrutiny by all. Thus a great leader leads by example. Unfortunately the bureaucracy has become so boneless and servile and overtaken by sycophants that they do not see beyond their nose. Every File that comes for decision before them becomes a means for bargaining and wresting some favours for themselves. We do not require “a committed bureaucracy” but a selflessly dedicated bureaucracy ready for sacrifice. Some 15-20 years back we used to hear inspiring anecdotes about the lofty ideals and towering conduct of officers which were handed down from one batch to another. That tradition no longer exists. After all who would like to narrate episodes about cunning Secretaries with evil minds, authoring the craftiest intrigues and machinations in secretarial practices ! most of the Indian bureaucrats are vested interest,they were never changed their attitude the govt paid more for them and their family ,they were all enjoying a;ll the fascilities from govt and they were showing intrest to MNC's and pvt sectors,so the PSU are became SICK. OUR RESPECTFUL DYNAMIC PM SHRI-MODI-JI will find out that fellows/culprits punish them,then only PSU BECAME A PSU .otherwise the psu became sick psu.